Details and lineup announcement coming soon! If you want to connect with jammers, fans, bluegrass music festivals, and other bluegrass music events in Texas, then you’re in the right place. The Bluegrass Heritage Foundation exists to preserve and promote the heritage of bluegrass music. 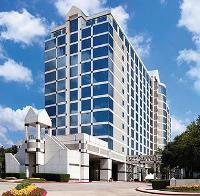 We focus on presenting bluegrass music and bluegrass music festivals in Texas. We work to educate people about our favorite kind of music in many ways, such as programs and workshops, public performances of bluegrass music, and the Bluegrass Heritage Radio Show. Because of our wonderful partnerships with cities around D/FW, many of our bluegrass music festivals are free with no ticket required! Of course, our most important effort is the free bluegrass instrument lending program for young people – Play It Forward!® The Foundation is a 501(c)(3) non-profit corporation with an all-volunteer staff that loves to present bluegrass music and bluegrass music festivals in Texas. Please contact us with any questions. Find out more on our Volunteer page. The Bluegrass Heritage Radio Show features two hours of traditional and contemporary bluegrass from 10a-noon and again from 9p-11p every Sunday on KHYI-FM 95.3 The Range in Dallas/Fort Worth. The show can be heard live on the internet at KHYI.TuneGenie.com. Amazon has a new program, AmazonSmile, that lets you help your favorite non-profit when you order gifts or other goodies. 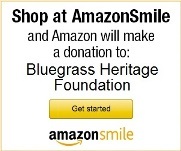 Just name Bluegrass Heritage Foundation as your favorite charity at AmazonSmile.com, and Amazon donates .5% of eligible purchases to the Foundation! There’s no cost to you. Just login at Smile.Amazon.com rather than Amazon. Every little bit helps! Thank you!